‘How lucky am I to receive this treatment?’ Afaf says. 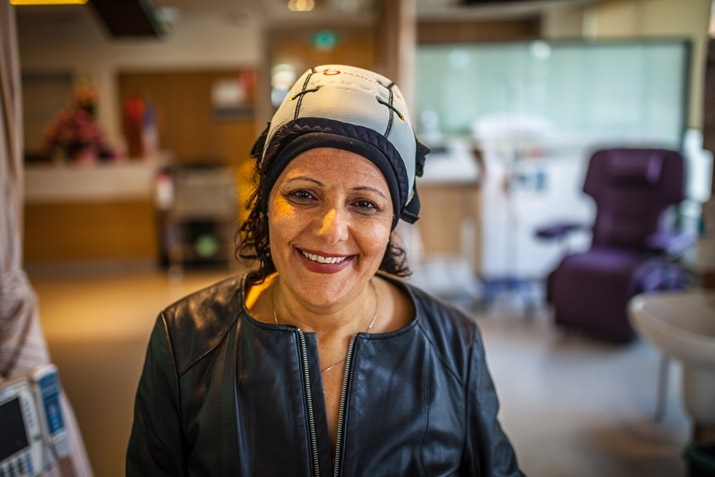 ‘I’m so grateful to the donors who have given me the opportunity to keep my hair.’ Committed Dry July supporters and the Dry July Foundation helped us reach our goal and purchase one of the first scalp cooling caps available to public patients in Victoria. The cap reduces the risk of hair loss during chemotherapy by decreasing scalp temperature and blood flow to hair follicles. Why not go dry this July and sign up for Dry July today?